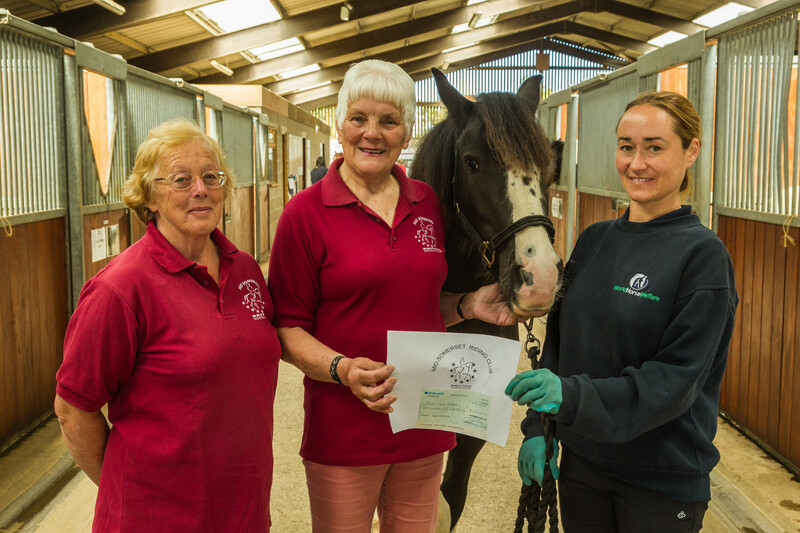 Margaret Peverley and Marian Draper were delighted to present a cheque for £250 to Claire Phillips, Manager of World Horse Welfare’s Glenda Spooner Farm near Somerton. This was money from the Sam Griffiths evening earlier this year. The evening started with Jeremy Greenop from RNAS Yeovilton talking about low flying helicopter activity and the importance of wearing HiViz for rider safety. This was followed by an entertaining and informative talk from Sam Griffiths, the Australian Olympic event rider who is based locally at Gillingham.